You’ll never believe who granted yet another exclusive interview to a British tabloid. That’s right, it’s none other than deranged narcissist Thomas Markle. I felt very strongly last week that we were probably going to get another “interview” from Thomas, and here we go. The Duchess of Sussex has not spoken to her father in three months, and all the Queen’s horses and all the Queen’s men cannot put their father-daughter relationship back together again. If you want, you can read the exclusive here at the Daily Mail. The basic gist is that Thomas spoke to Prince Harry on the phone and Harry “admonished” him for setting up those paparazzi photos and Thomas hung up on him. Because TACKY. This whole thing is just icky. 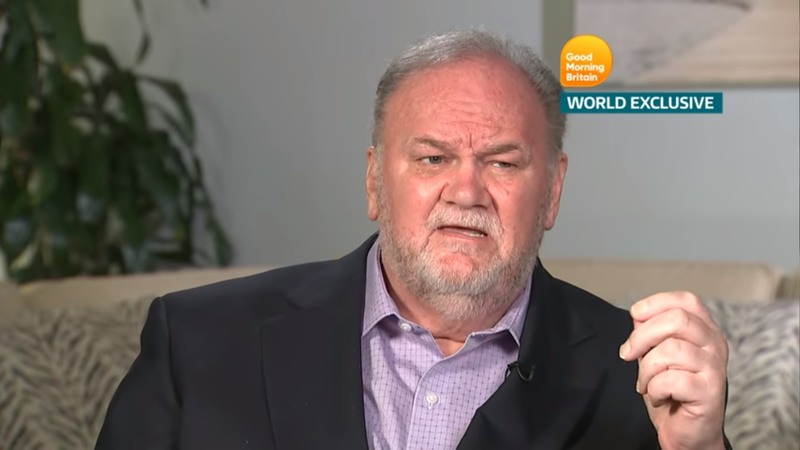 Thomas Markle last night revealed how he dramatically hung up on Prince Harry during a heated telephone call – after the MoS exposed him for staging paparazzi photos. The Duchess of Sussex’s father said he was ‘upset’ by Harry’s tirade, which came as he recovered in hospital from a heart attack. And though he accepts Harry was ‘absolutely right’ to admonish him, he described the timing of the phone call from the Prince as ‘rude’. Instead of taking Harry’s advice, Mr Markle made a secret arrangement to pose for a series of pictures – a decision he now bitterly regrets. The photos made £100,000 for the photographer and a smaller amount for Mr Markle. On Friday, May 11, the MoS informed Kensington Palace of the revelations we were to publish two days later after we discovered CCTV footage of Mr Markle collaborating with the photographer. Harry called Mr Markle to ask if he had co-operated for shots which showed him, among other things, supposedly being fitted for a wedding suit. At this point, Mr Markle admits, he lied to the Prince. Speaking of, The Sun has a story about how Meghan wants “time apart” from daddy dearest and that palace officials are still trying to figure out how to handle him. Meghan wants a “time out” from his drama and the palace officials are following her lead, and they’re not forcing her to contact him. Which is wise. Keep giving him the silent treatment. Photos courtesy of Avalon Red, Backgrid, ITV, WENN.